Whether you want something to decorate the crematorium with, or you want meaningful memorials, flowers are a staple at most funerals. There are many small, independent florists who can get to work on funeral wreaths, and the best ones offer a 24 hour delivery service that can be perfect for when you need to get some freesias in sharpish. Here’s a list of florists DEATH.io would recommend for their reliability and fair pricing. 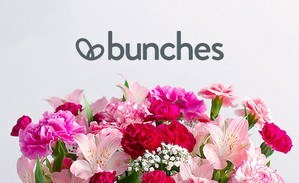 Bunches is a family-owned and aims to give 10% of its profits to working with the poor either in the UK or in the developing world. Flower Station is an independent florist which started out and is based in London. All bouquets are made to order and Flower Station have grown their delivery coverage to now offer nationwide delivery. From Tuesday to Saturday you can get next day delivery to most areas in the UK. If you’re in London, Flower Station offer same day delivery or even within 3 hours. Offering bespoke funeral flowers as well as simple bouquets, Arena Flowers make an effort to cut out the wholesalers and middlemen that affect pricing, buying direct from growers or the Dutch flower auctions. With same day nationwide delivery as well as free standard delivery, you can select a specific delivery date. You can also personalise your order, with an option to write a personal message or send a gift. Starting out as a small fruit and flower shop in 1978, Clare Florist is now an online florist. 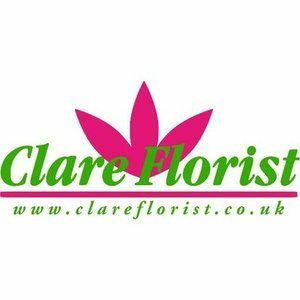 Clare Florist is a family-run business, available for same and next day delivery 6 days a week all over the UK. Helpfully categorising flower into price brackets, Clare Florist has fair pricing, a lot of experience and a lot of choice.